Hey everyone, meet Fang! He’s the new male wolf at the Haliburton Forest Wolf Sanctuary. Fang is not just any wolf. 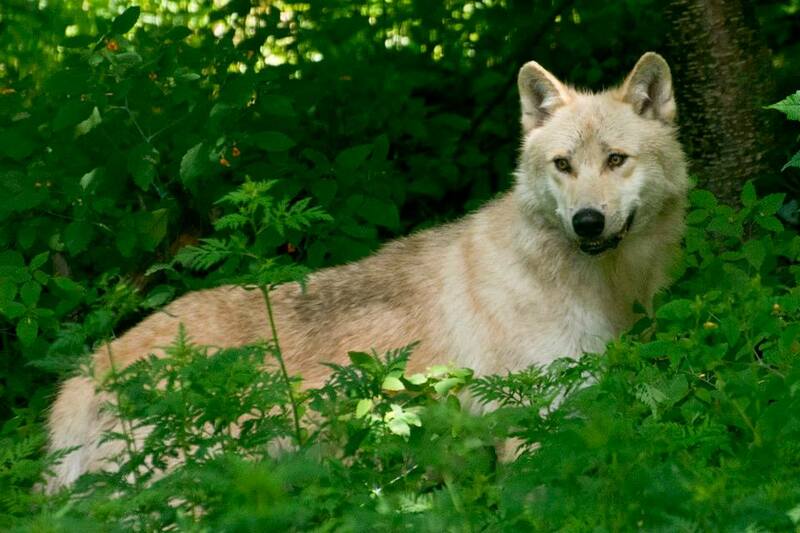 He’s the symbol of a brand new start at the Wolf Sanctuary. My regular readers will remember the story of the Haliburton Wolf pack that I wrote about earlier this year. For those of you who are new here and missed it, there are links below and here’s a brief summary: The Haliburton Wolf Pack was a pack of captive wild wolves living in a 15 acre enclosure at the Haliburton Forest Wolf Sanctuary. On New Years Eve this past year, vandals cut through the two perimeter fences of the enclosure, allowing 4 of the wolves to leave. These included the alpha couple, Haida and Granite and two of their offspring. Granite and one youngster were shot and killed on the side of the road. The other two wolves were never rescued. Meanwhile, the wolves remaining in the enclosure were all female — a pair of yearlings, Leyla and Luna (born in 2011), and four pups from spring 2012. 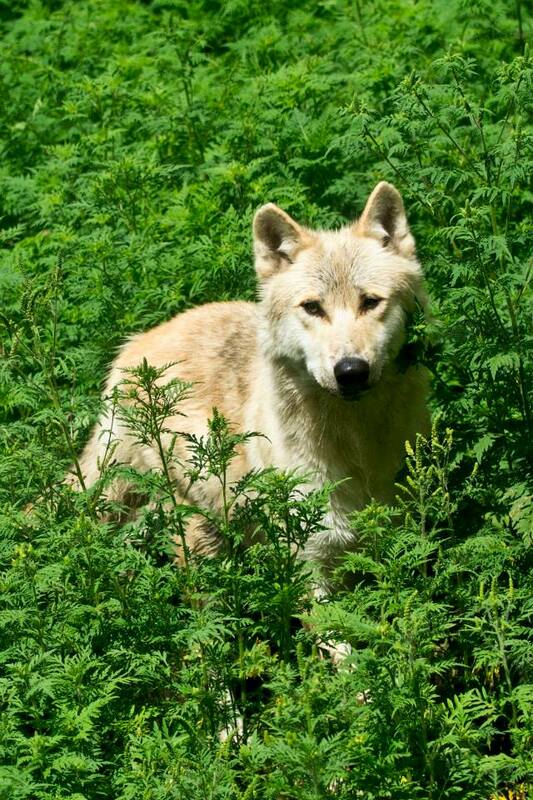 On August 1st, the Wolf Sanctuary acquired Fang, a two-and-a-half-year-old Western timber wolf from Alberta. It is hoped that Fang will pair with the alpha female, Luna, and present the pack with a litter of pups next spring. Of course, this will be up to Luna. For the first few days things seemed to be going well. But then something changed and Fang failed to show up one morning. So Fang was moved to a private enclosure and was introduced to the females one-by-one. So far it is going well and Schleifenbaum is optimistic that Luna and Fang will mate and bring new life to the Haliburton Wolf pack. All of the wolf updates on the Haliburton Forest Blog are HERE. Images are taken from the Haliburton Forest Blog. Please email me if you know who to credit. NextThe Ikea Monkey Verdict: Do you “own” your exotic pet? Thanks for continuing to keep us updated on the Haliburton wolf pack through your blog, Kim. There’s so much reason for hope in this next phase for the wolf center. Wonderful news. Hope all goes well with Fang and Luna. I think I’ll make the trip up there next summer. been planning to do it for ages. Thanks Kim for keeping us posted.